British chancellor Philip Hammond has confirmed air passenger duty will rise in line with inflation for long-haul flights during the annual budget. The levy will be frozen for short-haul flights. There will also be no changes to air passenger duty in Northern Ireland, where there has been particularly fierce opposition to the charge. The decision was widely criticised by airlines. With the UK preparing to leave the European Union, the Conservative government has been promising to build a ‘global Britain’. This ambition has been undermined by the budget, argued some. IAG – owner of British Airways – was particularly scathing. 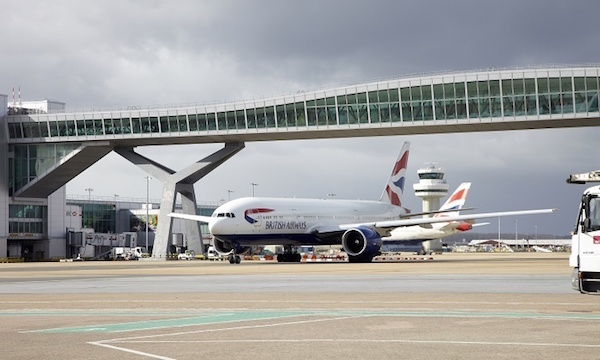 “It’s ironic that this Brexit budget has undermined Britain’s global competitiveness by upping air passenger duty, the world’s highest aviation tax, again,” read a statement from the group. “Last year, British Airways’ passengers paid £682 million in air passenger duty. The sentiments were echoed by Virgin Atlantic. A spokesperson said: “The government has missed a crucial opportunity to lower the cost of long-haul air travel for UK businesses and holidaymakers by cutting air passenger duty. “Our customers are already paying the highest rate of long-haul air passenger duty in the world – twice that of any other EU nation – simply to depart the UK. The Board of Airline Representatives in the UK went further still, branding the decision “beyond the comprehension of airlines”. “The budget was the perfect opportunity for the chancellor to boost economic growth through stimulating long-haul connectivity to vital existing and new long-haul markets, the organisation said. ABTA called for further research into the impact of the tax. Mark Tanzer, chief executive of the body, said: “While we recognise that the chancellor’s freeze on short-haul air passenger duty will come as some relief to the industry, another inflationary increase for long-haul will further reduce the UK’s international competitiveness, particularly at a time when Brexit means the UK should be seeking to establish new links with destinations across the world.